Her black leather handbag sold for a rather conservative £25,000 at auction four years ago. But collectors seem less willing to part with the same amount of money for Margaret Thatcher’s armoured 'battle bus', which is rusting in a dealer's yard because nobody will meet the asking price. 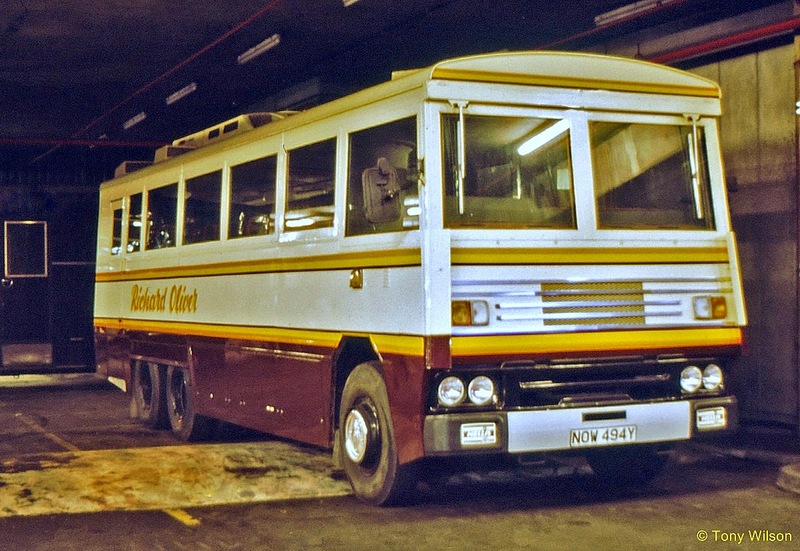 The 1983-registered, 17.5-tonne vehicle - which has travelled less than 17,500 miles - was built in an armoured shell for the former prime minister in Northern Ireland, after the Brighton bombing. It is not clear exactly when Baroness Thatcher used the vehicle on her visits to Northern Ireland, although it was deemed safe to transport the politician and her ministers there during the Troubles. Her first visit to Northern Ireland as prime minister was to Belfast in August 1979, three months after taking office - and two years before the hunger strikes by republican prisoners in 1981. And a year after the Brighton bomb, she signed the Anglo-Irish Agreement in 1985, giving the Irish Republic a say in Northern Ireland's affairs for the first time - causing unrest among unionists. The bus, powered by a 12-litre Rolls-Royce engine, can carry about 35 passengers and features a blast-proof floor and armour-plated glass throughout, as well as a bomb-proof armour-plated body. But the vehicle has been sitting for a year in a lot in rural Northamptonshire owned by tanks and surplus military equipment dealer Nick Mead, after he paid £16,940 for it February 2013. The bus was almost sold last year to a foreign buyer in Iran for £17,000, but the deal fell through because of the huge shipping costs involved. For many years after she left Downing Street in 1990, the bus was used to ferry troops from Londonderry Airport to Belfast escorted by two Saracen armoured vehicles. After being sold off by the army, it went to a research laboratory who used it to protect onlookers watching explosions during weapons testing - and was then bought by Mr Mead’s Tanks a Lot.